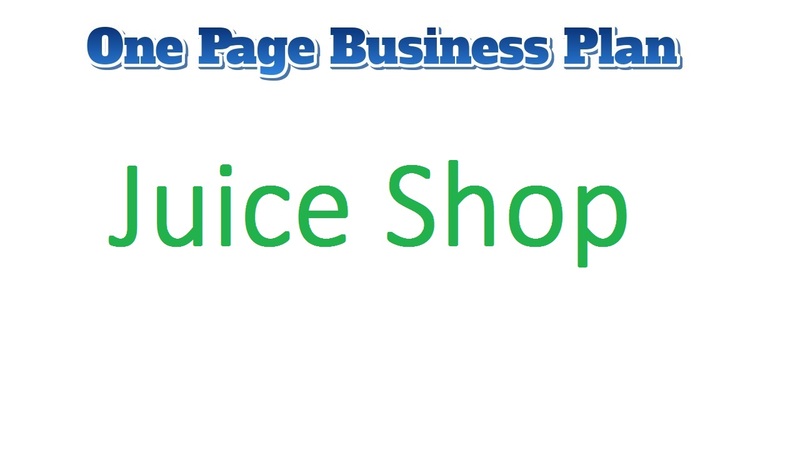 Establishing your own Juice shop business is an amazing way to bring in extra income. A huge number of people prefer freshly squeezed juice or juice bottled without added coloring, flavors and preservatives, making this a superb business opportunity. However, the kids love juice which is tasty and not so fresh. Hence it is your decision what type of juice you will be selling to your customers. To get your business started, you will need your recipes, some equipment, and permission from your city or state’s health departments. The investment required in this business is not that high. You will need to rent or buy a shop. You can even reduce the cost by opening your shop at a cart, which you can move from place to place. An average of $20,000 is required to startup your this food business. Your location should be in a place where it is easily visible to the passers-by. A heavy traffic area could be your choice, but you have to keep in mind, in locating your shop in a heavy traffic area you might get lost and not get noticed at all. So choose your location wisely. The first thing that you need to get is, the permits and licenses required in order to open up a food business. Once you have deduced that that, you now need to get to know the fruits suppliers in your area, who is going to supply you with fresh fruits. Find sellers purchase produce, if you won’t be growing your own. Try to purchase local – and in bulk – to save on transportation costs. Call up farmers markets and growers associations in your area for a list of potential produce suppliers. If you opt to go with natural products, it will cost you more to make the juice, but you can also charge more to customers. It’s up to you to figure out how many staff you need and where to find them. Hire employees who are young and enthusiastic, they should be able to communicate with your customers in the finest manner. Friends and family are an amazing place to start. Other choices include coffee shop bulletin boards and Craigslist. Once you know what traits you’re looking for and how many staff you want to hire, make sure you have an interview process in mind and a plan for the hiring process. Then comes the timetable. Keep in mind that, labor will always be your highest recurring cost, so it’s crucial for you as a business owner to keep labor as low as you can without harming your business. Market your shop. One of the most important parts of your business is marketing. Give away fliers and brochures to the passers-by and invite them to the grand opening of your shop. You can invite a celebrity in your grand opening to attract people. Give away 20 free juice box to your first 20 customers. Put ads on TV, radio, and newspapers. Also, do not forget to market your shop online. Put up pages on Facebook, Instagram, and LinkedIn. Your target market is the people who love to stay fit by consuming fresh juice instead of pizzas and burgers. So make sure to live up to their expectations and provide your customers with the yummiest and best quality juice. You do not need a degree to open up your juice shop. Read articles and blogs online to educate yourself a little. The business is quite easy to run and gives the adequate amount of money you need. The key to success to your business is marketing and providing the best quality to customers.